Sitting in my comfortable sofa, looking past the bonsai cactus plants that embroider this seventh floor apartment balcony, a glass of superb Alprocheiro red in my hand, I am swiftly approaching a state of what could be described as bliss. The light blue of the Tagus (Tejo) river empties into the dark blue of the Atlantic and up in the sky, fleecy white clouds float like giant gliding seagulls. In my semi-trance I have even forgotten where I am. 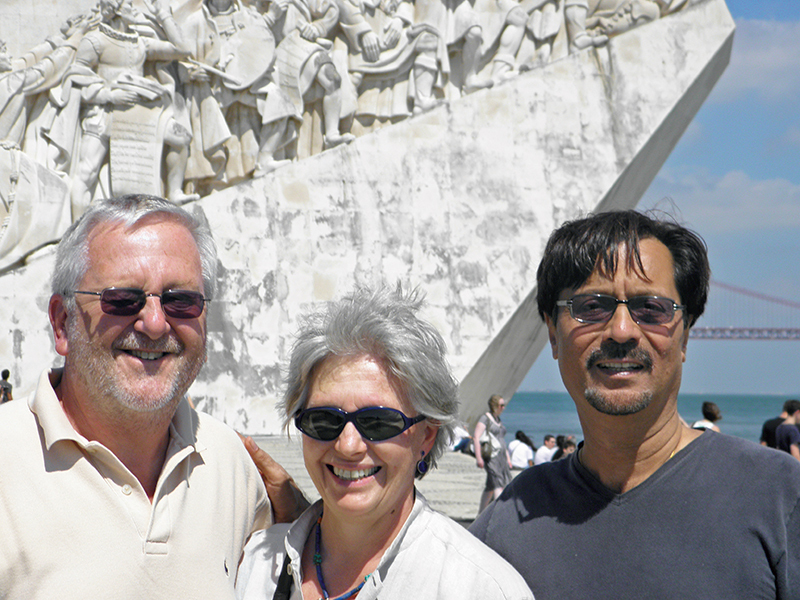 In comes a Howardism: “Six hundred years ago, Lisbon was like the Heathrow and the JFK to the world.” Snapped out of my hypnotic state, I look at my hosts Howard and Linda Parkinson. Remember them? Of course you do. He was British Deputy High Commissioner in Mumbai till 2002. The lovely Linda and he were very popular on the social circuit, not just for his official position but also for their obvious love of India and us Mumbaiwalas. So here I am in Lisbon, spending eight days in their large apartment in one of the city’s toniest suburbs. Tonight, my first night in Portugal’s capital, I will be treated to my first taste of authentic Portuguese seafood, which Linda assures me, “is nothing like Goan vindaloo”. Both Being wine aficionados and gourmet foodies, I am looking forward to an education on the gastronomic front. As for that Howardism, I do remember a snapshot from school. That in 1661, Catherine of Braganza got married to Charles II of England and her dowry included Tangiers and Bombay. 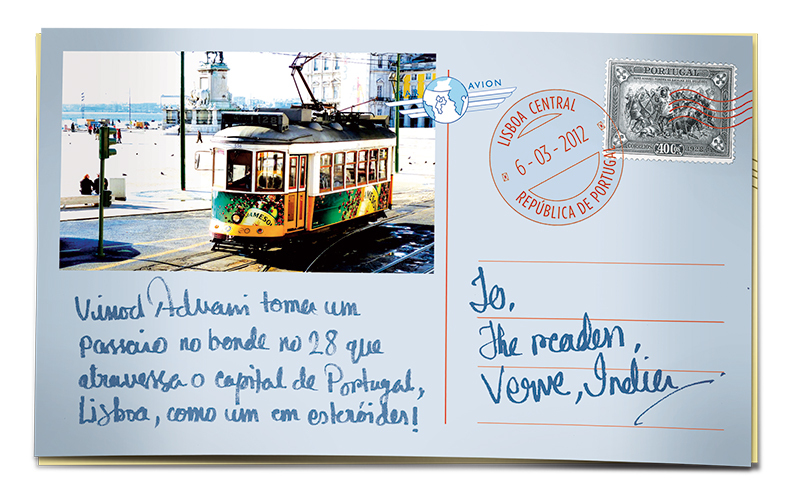 But Lisbon being the gateway – maritime of course, since there were no airplanes then – to the world all those centuries ago? I find out soon enough. 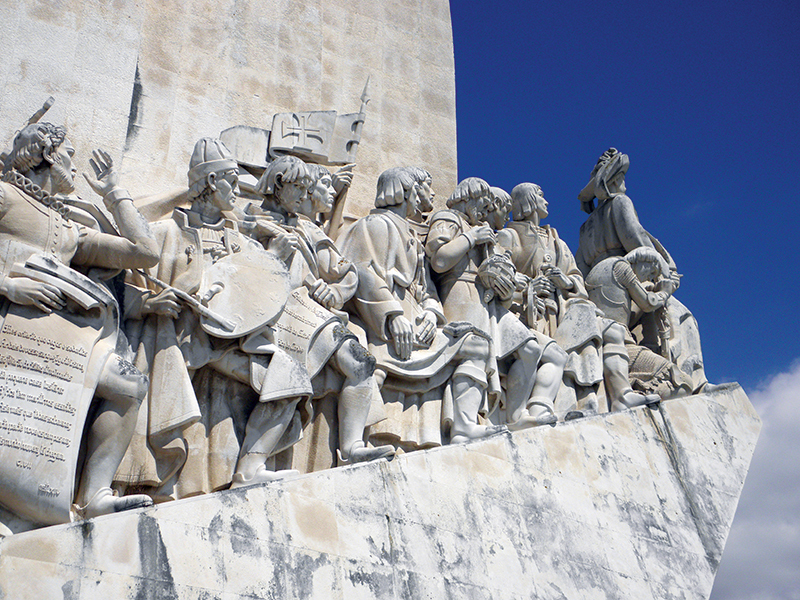 Next morning, I am standing at the Padrão dos Descobrimentos, Monument to the Discoveries. 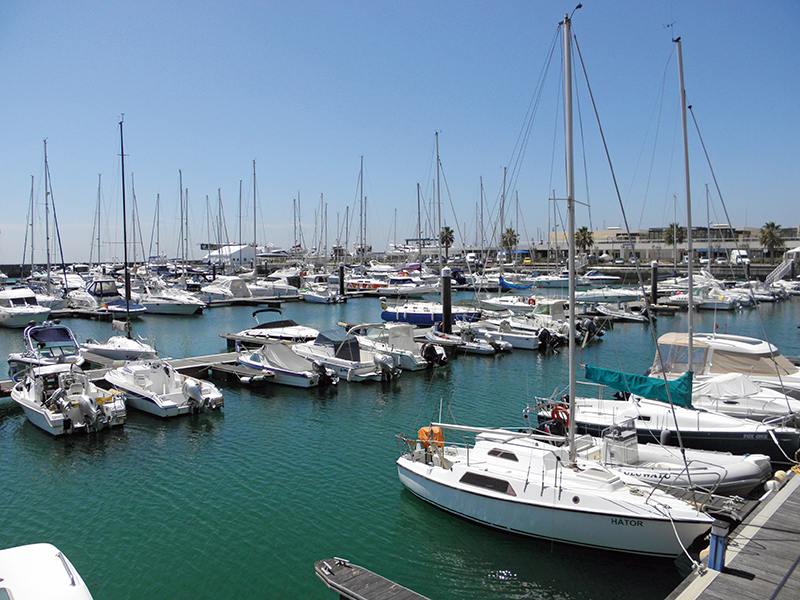 It is from this very spot that the Portuguese, once the world’s greatest seafarers, set off to explore the world. As large as a football ground, this vast open space on the scenic waterfront is dominated by a 52-metre-high monument designed by the famous Cottinelli Telmo and sculpted by Leopoldo de Almeida. The larger-than-life statues, frozen in time, look as if they are actually in motion, gazing out to the sea. The figure in front is Henry the Navigator, leading his group of adventurers in an era when Portugal was a mighty marine empire. Such uncertain, yet exciting times! Imagine being part of those historical adventures, without Google maps or GPS gadgets. So let’s test your history. When did the Portuguese first land in India? If you don’t know, well alright, Google the answer. Better still, come stand beside me as I study the large map of the world, designed in multi-coloured marble on the ground next to the monument. On it, the various dates of discoveries and landings are set in metal. And engraved in history is the year 1507 when the Portuguese conquered Goa. Coincidentally, the large eight-lane avenue on which Padrão dos Descobrimentos (pronounce the ‘s’ with a ‘sh’ sound) is located is called Avenida da India. Feeling patriotic, I cross the avenue to the other side, drawn by the stunning and very Goan looking cathedral. Which it is not. 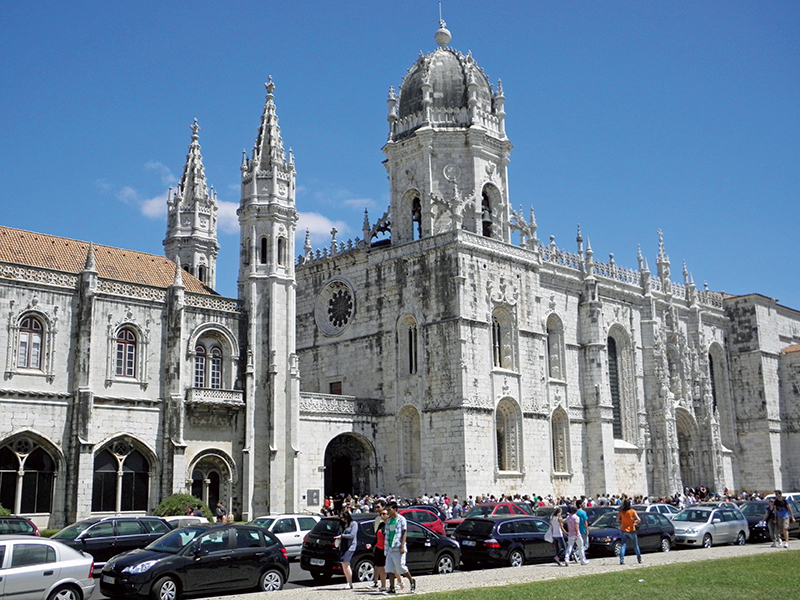 Mosteiro dos Jeronimos, is the country’s civic altar, where the greatness of the past is called into the present. 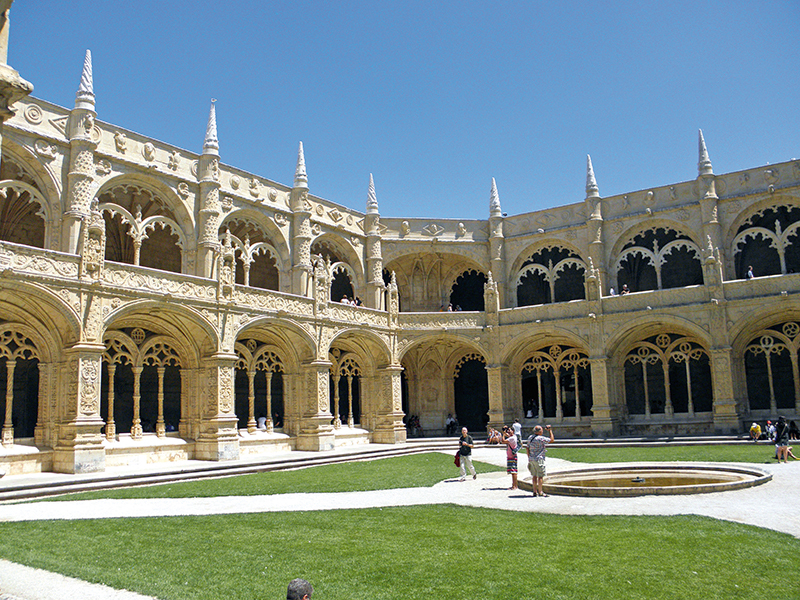 This Jeronimos Monastery, an UNESCO world heritage site, superbly represents the originality of Portugese architecture (imitated lovingly in 19th century Goa) and establishes the association of Vasco da Gama’s voyage to India in 1497. Let me give you another number: 28. Remember it well, 28. For if you see this number on any tee-shirt (I bought mine for 18 Euros) anywhere in the world, it can signify only one thing. The wearer of the tee has had his bones rattled in Lisbon. 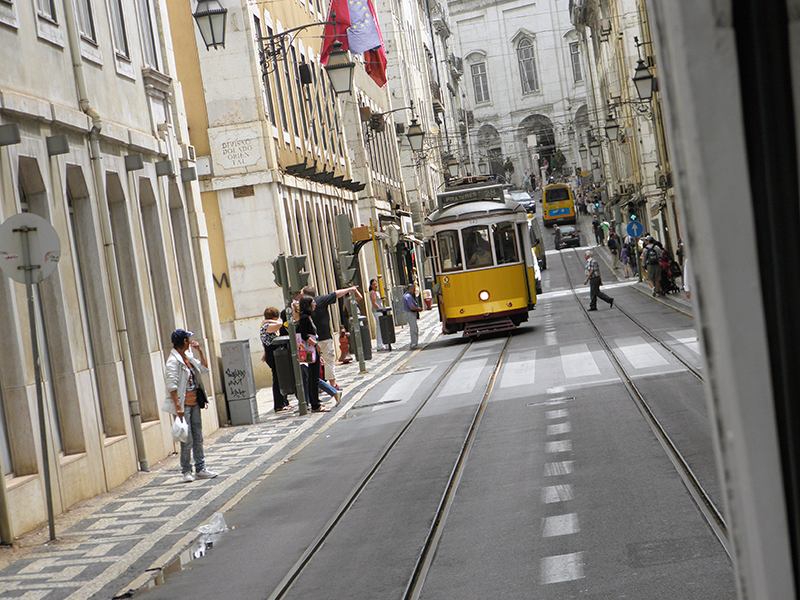 It’s one of the few global cities that still retains trams as a major means of travel. And since Lisbon’s old city was built on and between seven steep, very steep, hills, trams transport you into the pokiest, tiniest quarter. And the king of all trams is No 28, which traverses the city like a rollercoaster on steroids! Linda and Howard told me (with amused smiles) that it would be unforgettable. It was. For half an hour, us three, along with other Jacks and Jills, went up and down the hills, through narrow lanes (so narrow that one could stretch a hand out and touch a house) and bustling streets, through landscapes of food shops, cafes, restaurants, schools, parks and one cemetery, through impossible curves and bends. So goosebumpy that my adrenaline rush got an adrenaline rush. 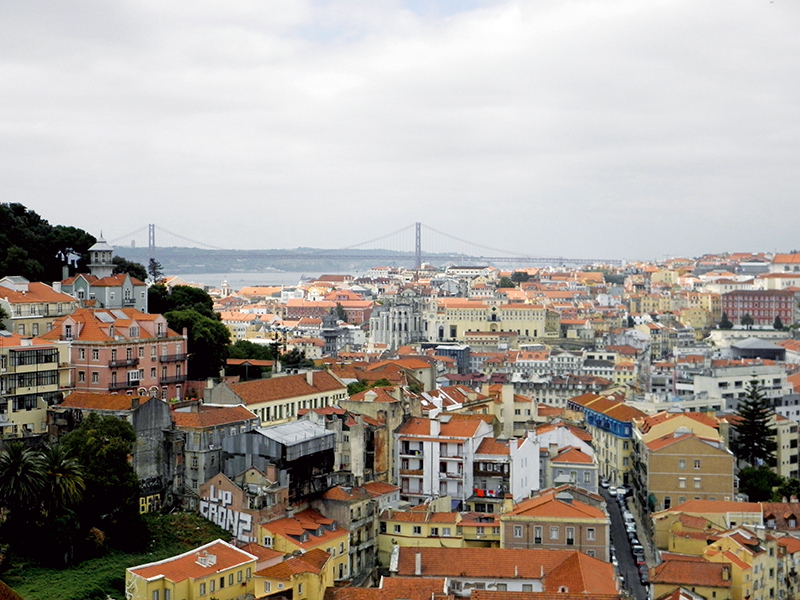 We reached the top of Alfama Hill, crowned by the Sao Jorge Castle. What a view! Whew! A 360 degree view of Lisbon and the Tejo River. From the top of this hill, Alfama occupies the slope right down to Baixa Quartier on the waterfront. Curiously and very slowly we walk down through the zigzag cobbled streets, through ancient houses of azulejos-tiled walls, every once in a while stopping to feast our eyes on the commanding views. Ken Day, Howard’s childhood friend points to his watch and says it’s beer time folks. Good idea since the overhead sun at noon can be a bit too hot. And believe it or not we have actually landed up at one of the trendiest bars in the city. The Pois Café (Rua Sao Joao da Praça, 93, Alfama, www.poiscafe.com) has mismatched old furniture and a wide selection of international newspapers. It’s like a café and a lounge rolled into one, an interesting place for brunch. We order two large jugs of local beer, salads and sandwiches, and get absorbed in the buzz of the very eclectic crowd that frequents this place. Ken is a fado music aficionado and recommends that I must come back to this area to catch a performance in any of the quaint little bars that dot Alfama. Another day, another discovery. 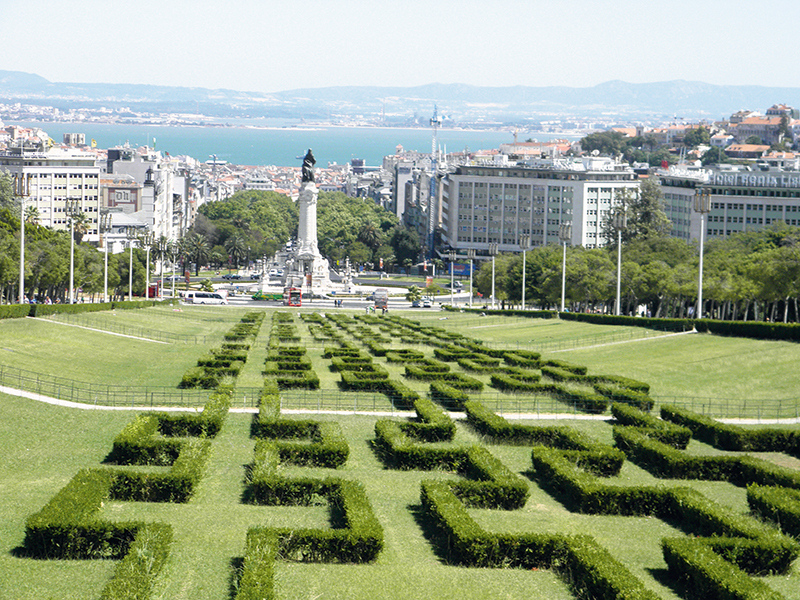 The Portuguese know Lisbon as the ‘cidade das sete colinas’ (city of the seven hills), since legend says that the city was originally built over seven hills. But the hills here are steeper than the Seven Hills of Rome, the other European city with which Lisbon is often compared. I have been to Rome 25 times in as many years, that’s how much I love it. But where Rome sleeps early, Lisbon’s pleasures are more clandestine, coming alive only at midnight. 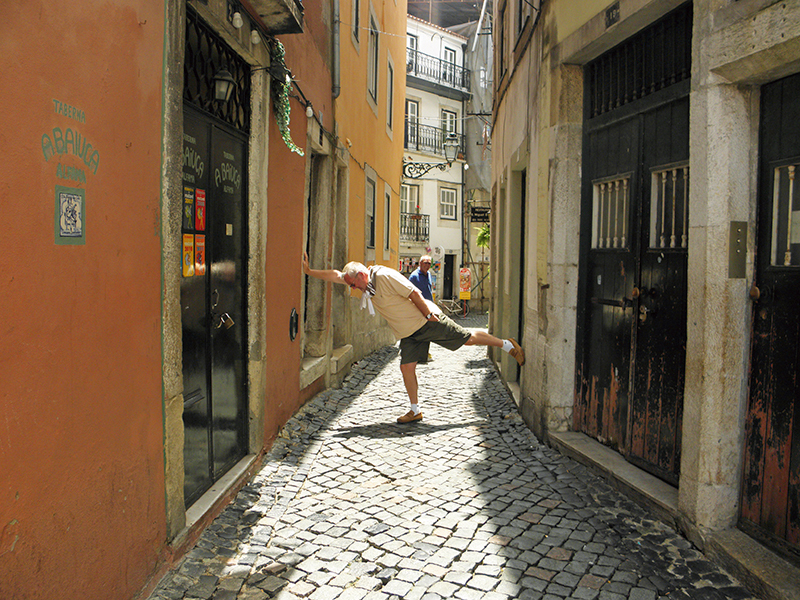 Perhaps alive is a wrong word to use for the area known as Bairro Alto located on Alfama’s neighbouring hill. Nightlife here started in the mid-1800s, when Lisbon’s indigenous music style, fado, gained popularity among the area’s working-class inhabitants. Melancholic and emotional, fado has its roots in Bairro Alto’s seediest taverns. (The Queen of fado, Amália Rodrigues, is said to have made her debut here in 1939 at Bairro Alto’s oldest fado house, Café Luso (Travessa da Queimada 10. http://www.cafeluso.pt ). The transition from rundown residential area to Lisbon’s most happening neighbourhood began on June 15, 1982 when Manuel Reis opened his nightclub Frágil (Rua da Atalaia 128). Lisbon had known nothing like it and Frágil soon attained a similar level of infamy as New York’s Studio 54. Numerous other gay bars and gay clubs appeared in the ensuing years, making Bairro Alto increasingly cosmopolitan. Let’s get this straight. Bairro Alto’s incredibly pulsating nightlife is not only for gays. It is a magnet for anyone or everyone who wants to party. If you come here at 6 p.m. not even the bakery will be open. It all starts to come to life around 9 p.m. when the first bars open their doors to serve the ubiquitous Caipiroska (vodka based) and Caipirinha (rum based) cocktails that are cheap and potent. Around this time all the other shops and restaurants open too. Music throbs out of each pub on to the street where by midnight it looks as if all of Europe has come to party. And this happens night after night, month after month, year after year. There is no other European city, not Berlin, not Madrid, not Paris, that can compare to the party density metre of midnight to dawn Lisbon. Howard and Linda have wisely led me to dinner before hitting party central. In fact, they have led me to Portugal’s oldest and most beautiful brewery restaurant. Cervejaria Trindade used to be a convent in the 18th century. In 1755, it was destroyed by the famous earthquake and in 1756 after its reconstruction, by a fire. In 1836, an industrialist built the beer factory here and slowly added rooms inside the former cloister. Once the hangout for Bohemians, labourers, artists and politicians, this restaurant’s reputation is justifiably reflected in its service and food. The shellfish is fresh, the dishes traditional, the steaks, juicy. The interior is spectacularly decorated with tile panels. On the left wall, drawings depict the four elements and on the right wall, the four seasons. Do go and have a look in the arch room which is what is left of the original cloister. The location is Rua Nova da Trindade, 20 C and you must reserve a table (telephone – 213 423 506) or be prepared to wait in line for over an hour. This restaurant has to be on every global traveller’s bucket list. Six months later, as I write this, I pause to reflect on those memorable eight days spent chez Howard and Linda. Linda’s generous hospitality and ready smile complemented Howard’s camaraderie and deep knowledge of Lisbon’s history and remarkable facts. With a population of just under one million, with beautifully maintained avenues, colourful homes, gracious lifestyles, striking architecture, this city is everything that Goa could have been but is not. And that’s a thought that will bring me back to this city that has laid a spell on me. Portugal’s cuisine is inspired by the Atlantic Ocean. Most dishes contain fish, especially salted cod called bacalhao. Expect to find fish, meat, rice and potatoes (usually fried) and other calorific staples, combined with olive oil, wine and friendship (the older the better, as the proverb goes). 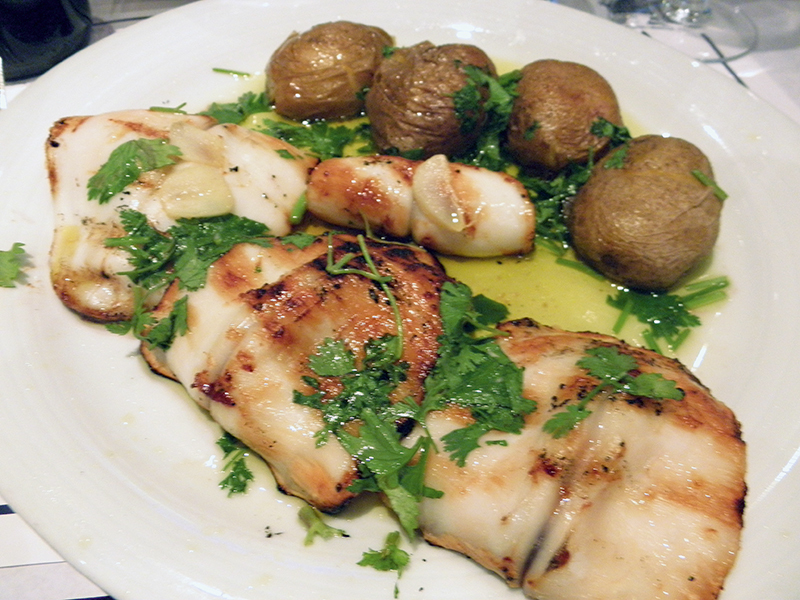 Portuguese food is generally inexpensive and served in large quantities. Staple foods in Portugal are the various soups, such as the caldo verde (thick vegetable soup) or sopa à alentejana (garlic and bread soup with a poached egg in it), and countless varieties of fish and shellfish soups. Vindaloo shows the Portuguese influence in its pairing of vinegar and garlic. Rich, egg-based desserts are often seasoned with spices such as cinnamon and vanilla. Originally from Lisbon, but popular nationwide, as well as among the diaspora, are pasteis de nata. These are small, extremely rich custard tarts, which are best eaten with an espresso. The most famous pastry shop in all of Portugal is in the Belem Quartier of Lisbon, not far from the Monastery. 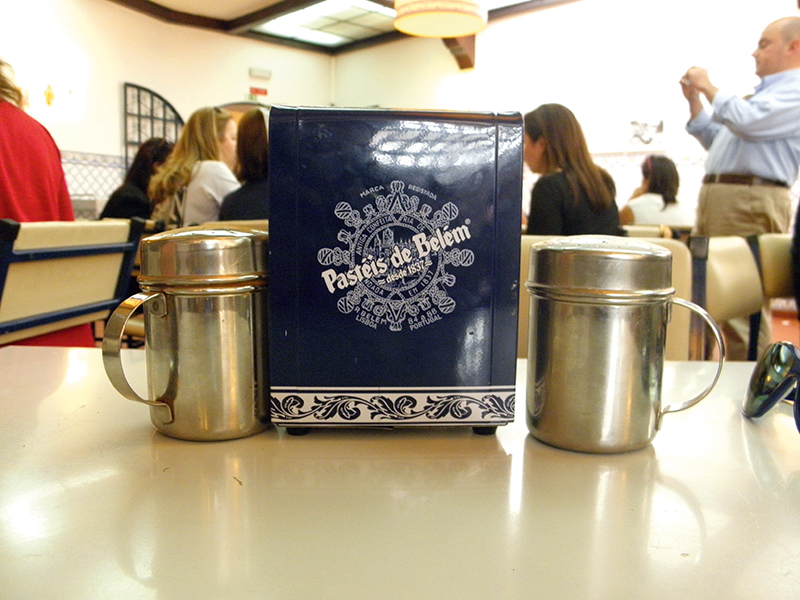 It’s called Pasteis de Belem and sells 14000 custard tarts every day.